So, how do you feel about high school science? I’ll be honest, when I was in school I loved my English and writing classes, but math and science, not so much. 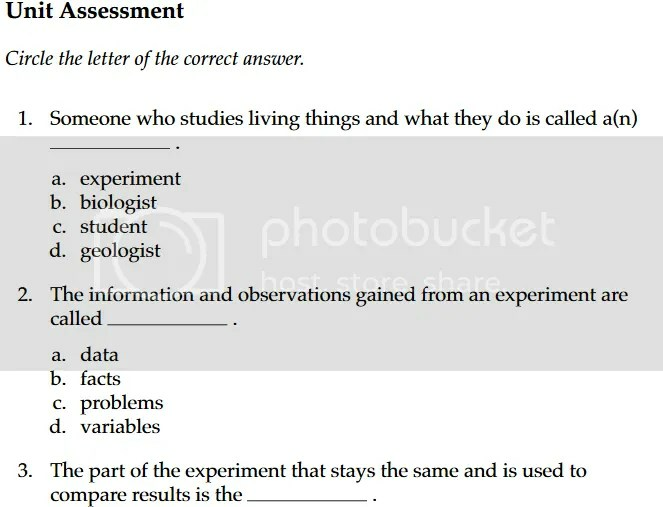 So, teaching upper level science is one of those things that kind of gives me some anxiety. I’ve tried many different courses with my boys, and to be honest, they all stress me out a little. For this review, I got to check out General Chemistry from Novare Science & Math, and I think I may have found something that will work for us! First of all, this is a very complete Chemistry program aimed at students in 11th grade. This is because they need to either have completed, or be working through, Algebra 2 in order to do the math in the program. My son (a junior) is working on Algebra 2 right now, and he didn’t have any problems with the math (at least so far). 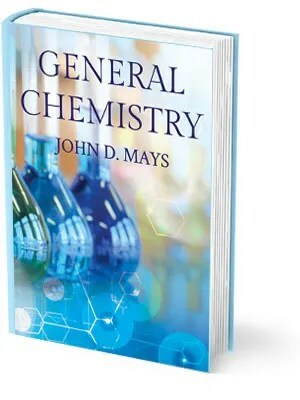 General Chemistry, wirtten by John D. Mays, is a faith-based science program, which I appreciate. Mays himself is a Christian and a scientist and does not believe the two need to be mutually exclusive, which I agree with. 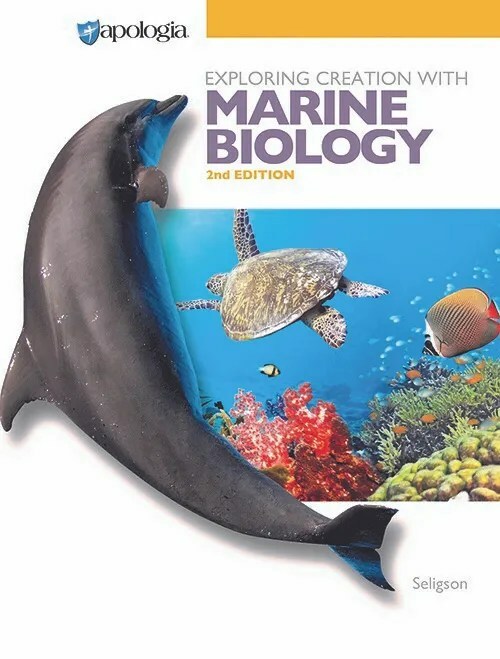 The textbook itself is really well done and is definitely a book that will last a long time, in case you have upcoming students you want to use it with. It consists of 12 chapters with topics like isotopes, molecular structure, metallic bonding, dissolution and more. The philosophy behind Novare’s programs really focuses on student mastery of the concepts they learn. This means students will dig in-depth on their topics, and also repeat previously learned topics on reviews to make sure they really engage with the information and retain it for the future. Each chapter in the color textbook begins with objectives which the students are supposed to read and use as goals for each chapter. The idea is that by the time they finish the chapter they will have mastered each objective. Chapters are broken into sections, which does make it easier to set up a schedule for the week. The text itself is well-written and easy to follow. Since the sections are small, my son didn’t feel to anxious about digging into it (large textbooks with tons of reading intimidate him). All of the math computations are fully explained, with examples, so students get a chance to really practice what they are learning. 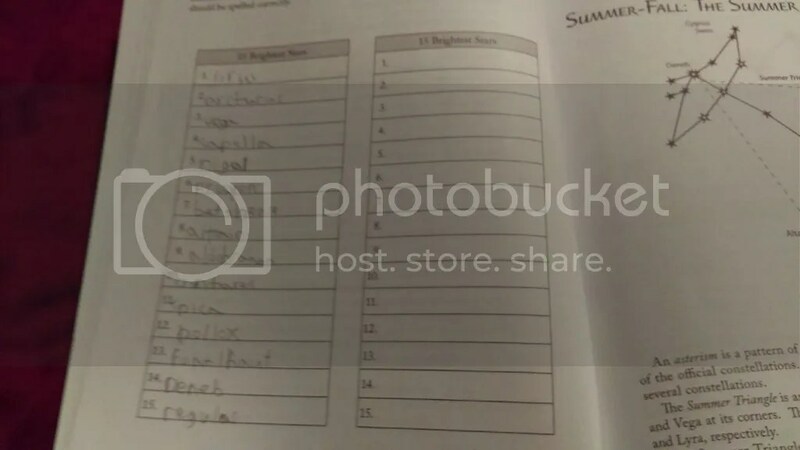 At the end of each chapter students complete their chapter exercises, and these are again divided by section, which makes it easy for your child to go back to a specific place in the chapter to review concepts as needed. In addition to the textbook, the General Chemistry Resource CD includes chapter tests and quizzes, solutions for problems, and mid-term and final exams. Each chapter has at least two quizzes to give students a chance to test themselves on their own knowledge before moving onto the chapter test. To complete the course, you can also get the Chemistry Experiments book which is definitely on my list of things to purchase as we move forward. This particular edition is designed for homeschoolers and includes experiments that are easier to perform at home rather than in a lab setting. Doing experiments is a big part of high school math, and if you’re like me, you definitely need a guide to make those happen! So, what did we think of this chemistry program from Novare Science & Math? We really liked it. I appreciated how easy it was to use and my son didn’t feel it was boring or too difficult to understand. Basically, I would look at each chapter and divide the workload up over 1-2 weeks. For weeks that included a lot more math we might work at a slower pace becuase I wanted to make sure my son really understood what he was doing. Other weeks, we might go a little faster. I liked having the multiple quizzes because I would have my son take them and then go back and correct his mistakes before using them as a study guide for the test. At this age, I feel testing is important, as it is something kids will need to be more and more familiar with as they get older. Also, having the tests and exams ready to go made it much easier for me to assign grades and keep up with my son’s progress. As far as the math goes, that is another area I am not really fluent in, however, the computations in this program are really well-explained and with the solutions it was even possible for me to follow! Let’s face it, homeschooling can be costly, and in years when you don’t have much of a budget, you have to scramble to put together curriculum for your kids. Some moms find this really easy, but I am not one of them. That’s why I was really excited to check out the CHSH Download Club from CHSH-Teach.com. A subscription gives you access to tons of curriculum from Kindergarten to High School in just about any subject! The way the download club works is that you find curriculum or other things you want to use and just download them to your computer. You can search for items by topic, grade, and even look for seasonal activities by month. 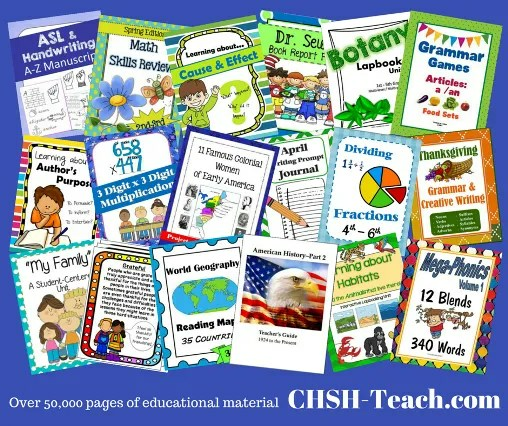 In addition, CHSH-Teach also offers organizational tools like a printable planner, gradekeeper, and calendars. My son is in 10th grade, and at first I wasn’t sure what the website would have to offer high schoolers, but I was in for a very pleasant surprise. For starters, they have complete curriculums for science, English, math, and social studies. 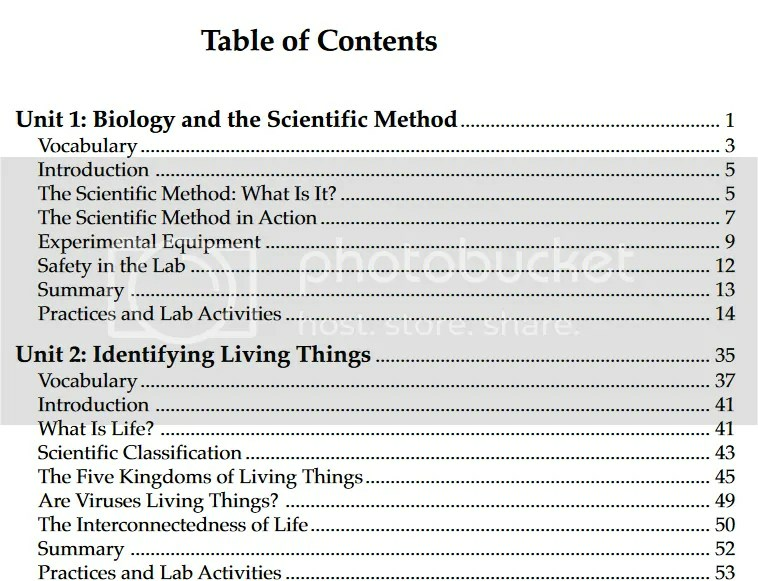 The Biology curriculum gave us an entire Biology textbook with 10 units and suggested labs. It had an accompanying teacher’s guide that even included quizzes for each unit! It basically had everything you need to teach Biology except for the lab equipment. 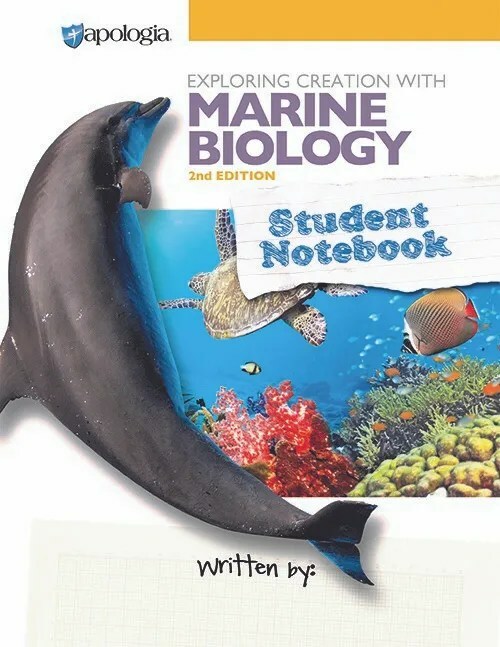 The textbook read like most any other textbook I have seen, and includes questions and review activities too. 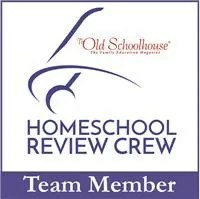 Now, I feel I should note that CHSH stands for Christian HomeSchool Hub. However, some of the materials you will find are secular. For the Biology text, they give parents a heads up about the pages that discuss evolution, so you can plan to address that ahead of time, which I appreciate. 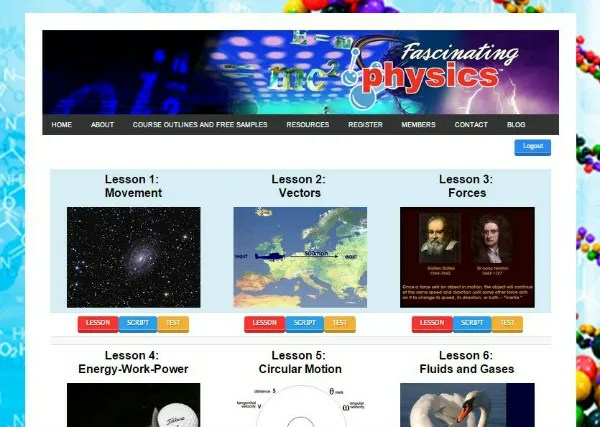 In addition to Biology, the site offers Integrated Science, Physical science, Marine science and Natural science. So you definitely have a lot of options and could use CHSH-Teach for high schooler across multiple grades. For English, you have several options. First, there are a multitude of classic books you can download to have your child read. Organized by author, you can choose your favorites and then just get some literature guides to go with them. 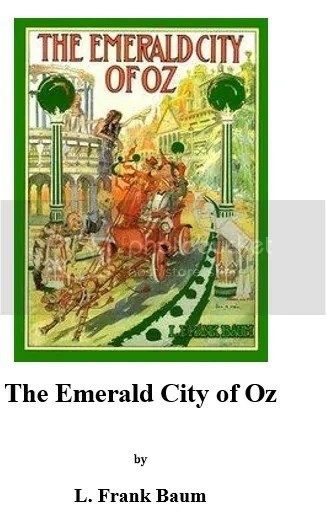 I picked a few of my favorites to start with (The Emerald City of Oz, Little Men, Jo’s Boys) and then started planning for my son. They offer everything from Lewis Carroll, to Dickens, to Jack London and so much more. 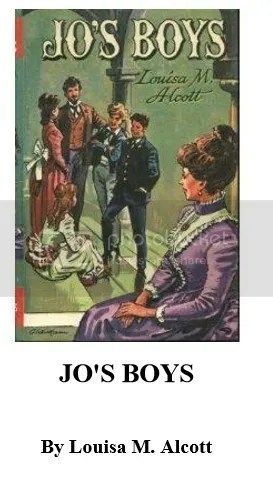 I think you could probably get your child through high school lit just using these books. 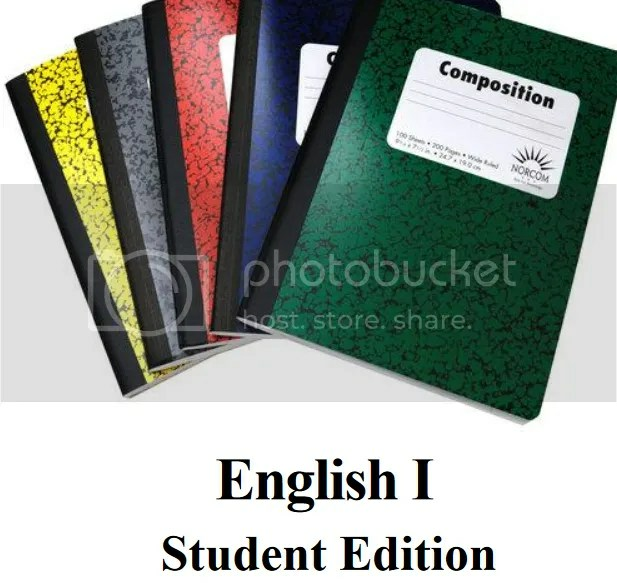 For writing, you can use the English and Composition courses, which are offered for all four years of high school. It offers lessons on all types of writing, from technical writing to persuasive, to speeches. The books also include grammar lessons interspersed with the writing lessons. 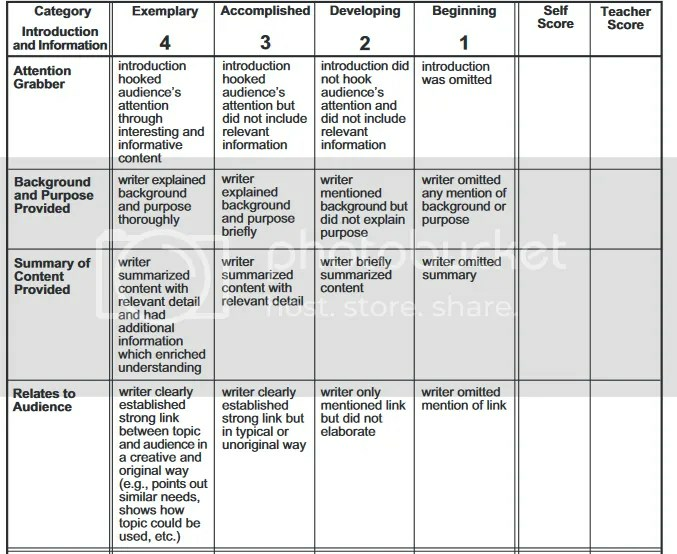 The teacher’s guide includes suggestions for ways to flesh out the lessons and rubrics for grading writing. It also has an assessment for each unit and answer keys to the questions in the student book. Other fun activities you can find on CHSH-Teach include lapbook style activities built around seasonal themes like pumpkins for fall and a 9-11 activity for older students. You can use some of these activities for special holiday unit studies and flesh them out with books from the library. CHSH-Teach is constantly updating their site with new downloads, so it’s like a surprise when you log on and find out what’s new. I think this is a fantastic resource for homeschool families, because the wealth of information it offers is amazing. You could really use the site to school multiple students across pretty much all subjects, and since a yearly subscription costs less than $30, it is a great value. You can even get a lifetime subscription for less than $100. I’ve always loved looking at the stars, and my youngest son does too. When he was about 10 he saved up money to purchase his own (beginner) telescope, and he loves field trips to the planetarium. He even has an app on his phone that helps him identify the stars in the sky. So, I figured he would really enjoy the Book of Astronomy Set from Memoria Press, and I thought it would make for a fun science study for us. While this program is aimed at grades 3-5, my son is actually in middle school, and I feel it suited him just fine. The information is pretty in-depth, and the memorization component definitely requires some skill. Plus, you can flesh it out even more if you can get your hands on a copy of D’Aulaires Greek Myths and you could certainly add in a research component for older students if you wanted to. 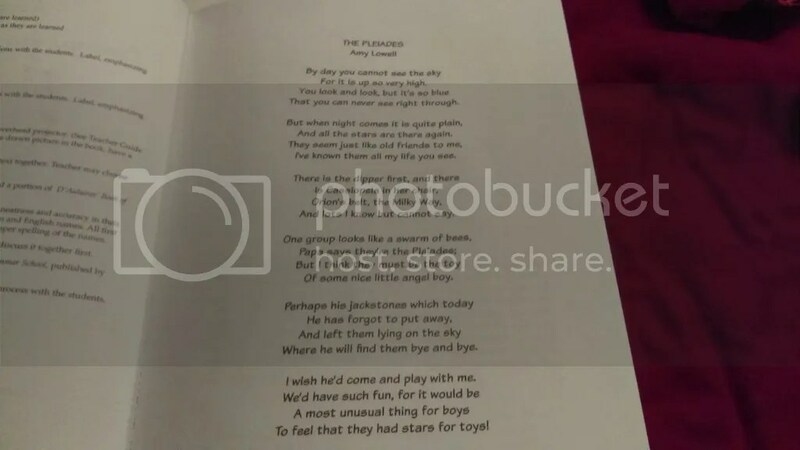 The book opens with a copy of the poem The Pleiades by Amy Lowell, which students work on memorizing throughout the program. It also offers some basic guidelines for how to teach the program, but doesn’t go so far as to give you a daily schedule. For me, this is nice, because I kind of like to set things up on my own, and I tend to tweak schedules anyway. The schedules suggests daily recitation and review that asks for an overhead projector. Of course, I don’t use an overhead projector, so we skipped that part, but it really wasn’t a big deal since it was just my son and I working through this together. 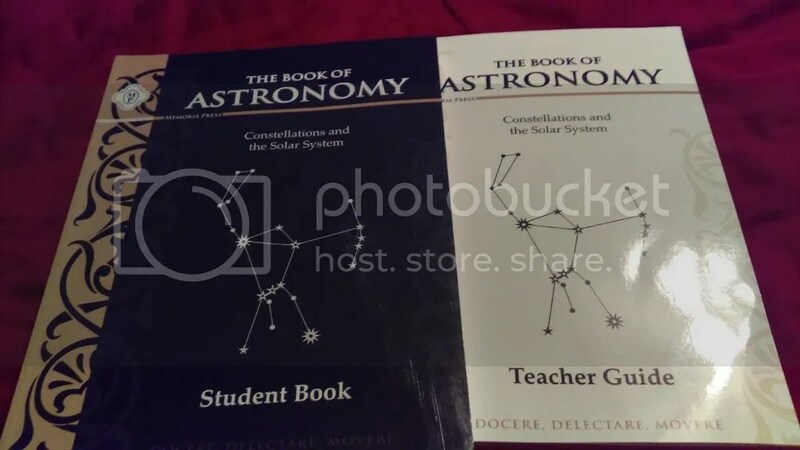 Throughout the course of Astronomy, students will memorize the 15 brightest stars, the planets, and the 12 Zodiac constellations, which is a lot of information. 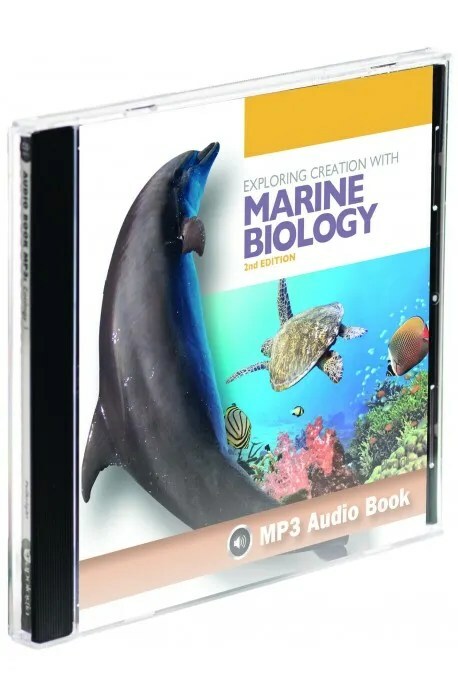 The student book is divided into four units and also includes an appendix with definitions, facts about the planets, a pronunciation guide and more. 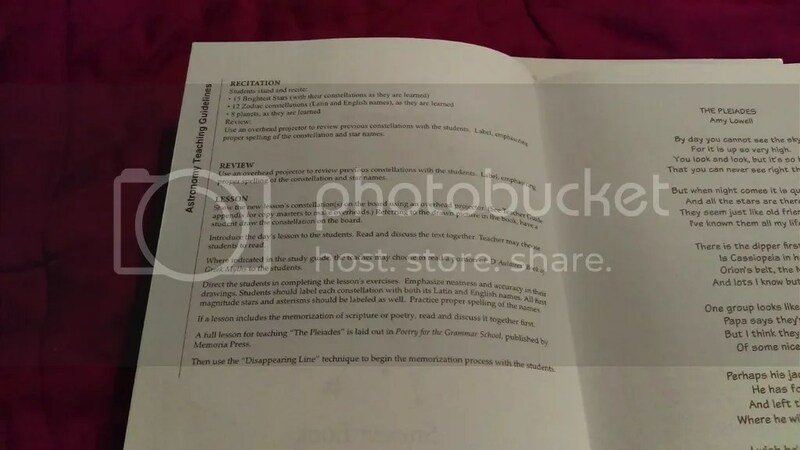 The Teacher’s Guide includes all the pages in the student guide, but with the answers. 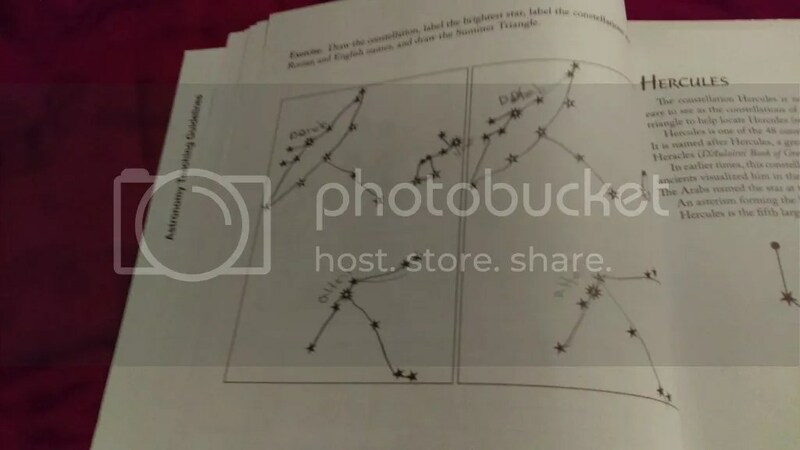 The first thing you study is an explanation of some basic astronomy, touching on what the constellations are, how the Earth moves, how stars got their names, and a discussion about star magnitudes. Then you get an intro to the 15 brightest stars before moving on to study individual constellations. Kids start practicing their memorization right away, recording the names of the stars in a chart that will repeat throughout the book. I really like the way the lessons are set up. First of all, they are relatively short, so it’s easy to complete a couple at a time in about 20 minutes. There is not too much reading in the workbook, so it was pretty easy for my reluctant reader son to complete on his own. I also thought it was really cool how they have students trace the stars and label the brightest stars in each constellation. 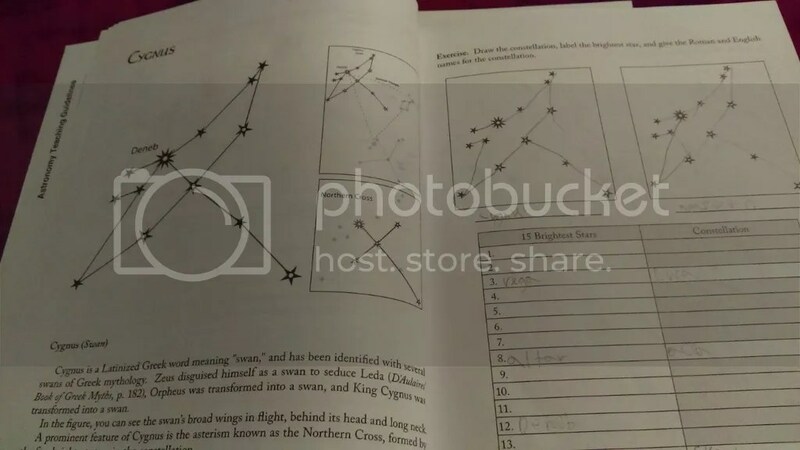 Even for me, I could see how this would be helpful in actually identifying the same constellations in the sky (something I can honestly admit, I have a hard time doing with my naked eye). As students complete the lesson, they learn both the Roman and English names for the constellation and they continually fill in their star chart. Good creation resources are a benefit to any homeschool. I am always on the lookout resources that will attract my kids attention and explain things in a way they understand. 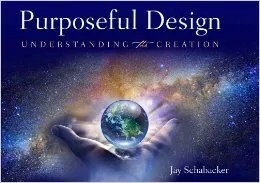 For this review, we got to check out the book Purposeful Design: Understanding the Creation from author Jay Schabacker at Purposeful Design. This book is suitable for all ages and features seven chapters, each one devoted to a particular day of creation. With over 90 pages, it is chock full of information, plenty to start a unit study if you wanted. What struck me first about the book is the beautiful photographs that accompany the text. From landscapes, to people, to animals, Schabacker brings you the world in vivid color. The book provides easy to understand explanations for scientific topics like the water cycle and the seasons, which make this a perfect resource for moms with littles. However, it also provides a great jumping off point for further study for older children, making it great for use with multiple ages. Bible verses are spread out throughout the book and provide an excellent source of memory work. I appreciated how Purposeful Design makes it clear how exact our world is and how radically different it would be if just one thing were out of place. For example, one section talked about how Earth is perfectly tilted on its axis, and discusses the consequences if that tilt were off by even a little bit. To me, that just reaffirms that our world was deliberately created. In addition to the book, parents can download a free curriculum to go with it at the Purposeful Design website. The PDF file contains questions for each chapter, additional verses to memorize and think about, as well as discussion questions you can use to further make the connection between creation and God. For younger kids, you could do a lot of this orally, but for older children, you could easily print it out and use it as a review for each chapter. I felt like the curriculum was a great addition to the book, especially if you wanted to use it as a starting point for a unit study. When combined with other books about the stars, planets, plants, etc. and maybe a couple of episodes of The Magic School Bus or documentaries, you could definitely create something to last for at least a semester. Of course, this is also an excellent choice to simply add to your bookshelf. Use it as a read aloud, or put it in your book basket for your kids to explore on their own. It is full of factual information which makes it a great reference. You could also use it to supplement other curriculum you are using if you are studying topics like astronomy, earth science, or life science. In 2013 Purposeful Design won the Illumination Book Awards bronze medal, and in 2014 it was awarded a bronze medal in the Coffee Table category by the Catholic Press Association. I think it definitely deserves those awards, and is well worth the price of $18.95.